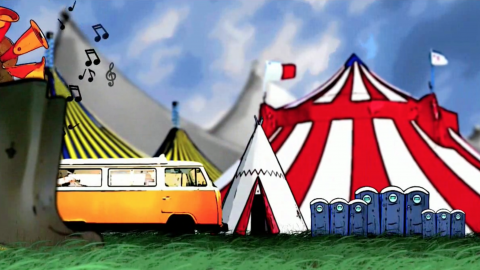 Larmer Tree festival commissioned Mallard Productions to produce their official video back in 2010. Since then we have made the official promotional video for the last three years. The video is usually split into two, with a 60 second ‘Thank you’ video produced immediately after the event and circulated around their customer base in the form of an online newsletter. In 2012 we also filmed a series of musicians sessions at Larmer Tree. We took each band to a remote location around the festival and recorded acoustic sets. In order to get the best video possible we stay on site at the festival and record hours of footage that is eventually cut down to only a few minutes.